PowerPop: It's Brinsley Schwarz Week: Part I -- Buddy Holly Lives! You're a man of your word, Mr. Simels. Thanks for posting this song. 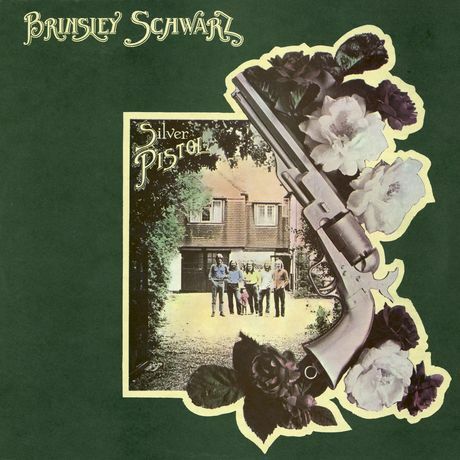 My vinyl copy of the "SILVER PISTOL" is buried in my storage locker at the moment, so it is indeed a delight to be able to play the song again. It's funny; I love "Unknown Number" as a piece of sound, but I've also never been able to decipher the entire lyric (obviously, there are some puns and skewed wordplay in there.) If anyone out there in Power Pop Land knows where I can find a copy of the words, please post that info. I'd be most grateful. And then there's the brisker live version from the Greasy Truckers Party. VR - IMO Pub Rock should be heard in a pub, even if it is the London Roundhouse. This is my favorite BS album. Ian Gomm kicked the band into high gear. I can only but agree with you Capt. Al!